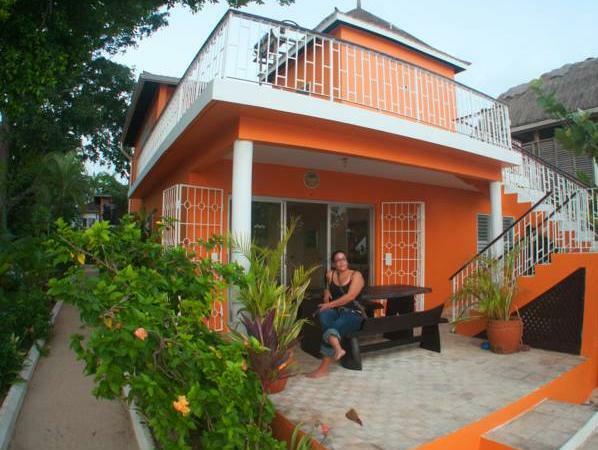 ﻿ Best Price on Seasand Eco Villas in Negril + Reviews! Located on the beachfront in Negril, Seasand Eco Villas features 3 tropical-style villas with private decks and fully equipped kitchens. The property offers a designated swimming area, sun loungers and BBQ facilities. Each Seasand villa has colourful décor, free Wi-Fi and screened windows. Bedrooms feature pure cotton sheets and air conditioning, and ceiling fans are fitted throughout. The lounge areas include flat-screen cable TV. Seasand Eco Villas offers a children's playground and free beach toys and floats, while babysitting services can be arranged on request. Staff at the tour desk can provide information about the surrounding area. Central Negril is just a 3-minute drive from the Seasand Eco Villas, while the famous Rick's Café is around 10-minute drive away. The YS Falls and Sangster International Airport are within an hour’s drive.